HIGH Taking out two targets by derailing a train into them. LOW The mess of a story attempting to link each level together. WTF Agent 47 remaining undetected as a white guy wearing native costumes in foreign countries. Agent 47 has come a long way over the series’ 18 year history, but zeroing in on the past two years alone — starting with IO Interactive’s 2016 reboot of the franchise, simply titled Hitman — the series and developer have been put through the wringer. After a creative misstep with Hitman: Absolution in 2012, IO Interactive brought the series back to its roots in 2016 with large sandbox locations, extensive replay value and the sharp, black humor regularly interwoven throughout the series. Despite Hitman (2016) being what I’d consider the best the series has offered, IO’s publisher Square Enix dropped their years-long partnership in 2017. Luckily, IO came out relatively unscathed, kept the rights to Hitman and partnered with Warner Bros. to release Hitman 2. Up until now, each Hitman has portrayed Agent 47 in some random slice of his life and showed a string of often-disconnected jobs before bowing out until the next game. 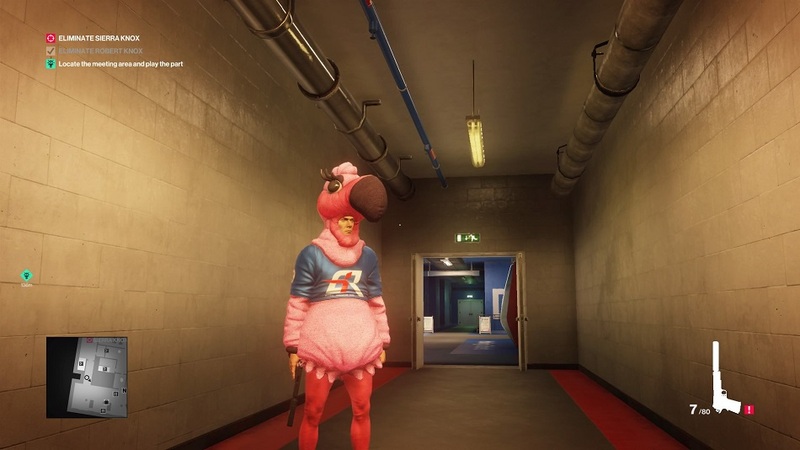 This is the way I like Hitman. I don’t need a deep, personal story about Agent 47 and why he’s killing. To be frank, I don’t care. Agent 47 is a cool cucumber (helped largely in part by David Bateson supplying his voice for every game) and he exists well-enough on his own as a mysterious assassin. Most entries have realized that and kept his characterization to a minimum. Perhaps the only constant is 47’s established backstory of being a perfect lab-developed human clone bred for combat. It’s only brought up in nearly every game like a buff guy who mentions crossfit every chance he gets. Yet, despite its flashy guns and explosions, Hitman is a puzzler at heart. I certainly don’t need to know the emotional journey behind why the T-shaped Tetris piece went for a certain grid opening, nor do I need one for Agent 47’s adventures. Have fiber wire, will travel. End of story. 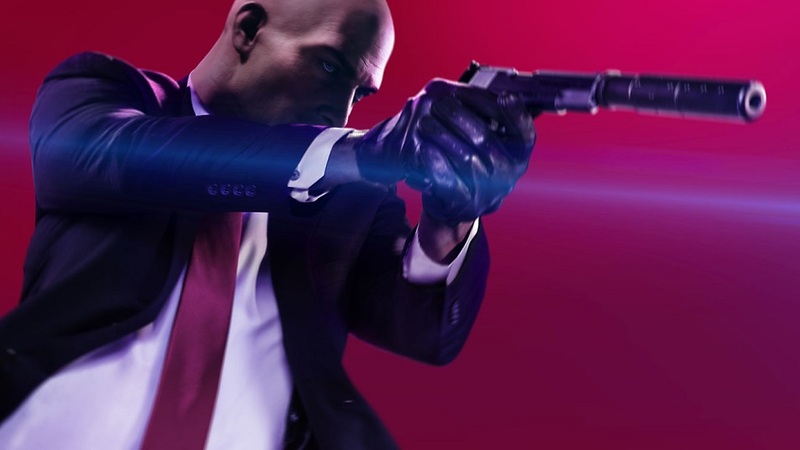 In a move that goes slightly against this grain, Hitman 2 not only picks up exactly where Hitman (2016) left off, but IO Interactive seems to be creating an ever-expanding Hitman universe by offering what they call the Legacy Pack. This is a separate download allowing players to import Hitman (2016)’s levels into Hitman 2 as one cohesive package. Not only are the old levels now available to play in Hitman 2, some gameplay innovations from Hitman 2 have been retrofitted into the old levels via slight redesigns. The Legacy Pack is a great idea, but it’s also a double-edged sword. More on that later. Given that Hitman 2 continues from the previous game, I’d ordinarily put a spoiler warning here before discussing story specifics. But I have to be honest — I have no idea what’s going on in this game. Agent 47 and his long-time handler Diana are back executing assassinations all over the globe. There’s a shady organization doing shady things and 47 is trying to find out who they are? And kill them? …Or something? I’d try to take the story more seriously but it literally uses the term “Shadow Client” several times without a hint of self-awareness on how silly it is. I can’t be bothered to make sense of this narrative mess. Luckily, the story doesn’t detract from the overall package, but it also doesn’t add much meaning. I long for the days of Blood Money and Contracts that, more or less, didn’t bother with an overarching story at all. Because the story doesn’t impact gameplay, the good news is Hitman 2 continues the excellence of what Hitman (2016) was doing. Agent 47 is dropped into several complex, multi-leveled, maze-like sandboxes in a third-person perspective, he’s given a few targets, and he’s set loose to execute them by any means. My favorite thing about Hitman is its ability to let me get in, execute and get out without anyone ever knowing I was there — change disguises on the fly, poison someone’s drink, crush a target with a chandelier — and get out. However, Hitman 2, like most before it, provides players with so many tools that it’s possible to set off explosions, shoot through crowds or find a perfect vantage point and snipe targets from afar. The choice is reliant on the the player’s wit and creativity. Hitman 2 launched with six missions and will offer some DLC down the line. I wouldn’t call any of the six missions here misses, but there are clear highlights. 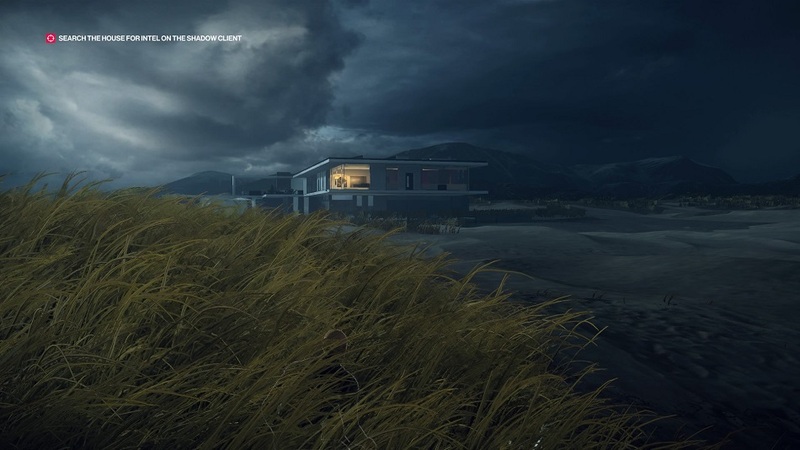 The game opens with a small, intimate level set on a serene New Zealand beach at dusk with a beautiful modern house close by. Although it’s almost a tutorial mission, I wouldn’t hesitate to call it a perfect map. 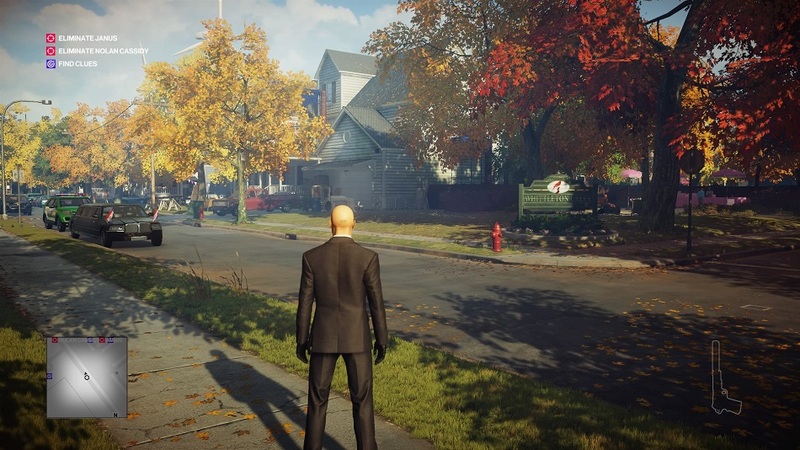 It doesn’t feature Hitman-staples of branching locations, skyscrapers, sewers or anything more than a two-story house, yet it’s still ripe with options for how to complete it. From there it’s off to the races (literally) in a NASCAR-like race event in Florida, a cocaine-producing cartel in Colombia, a sprawling slice of inner-city Mumbai, an American suburb to explore, and it closes with an ancient castle on a stormy island. Most of the missions are classic Hitman with only the New Zealand opener and American neighborhood being slightly smaller. Although I adore exploring a gargantuan Hitman map, they can be overwhelming. Six levels feels relatively sufficient, but I wouldn’t complain if there were one or two more small levels to mix up the pacing a bit. What Hitman 2 lacks in the sheer number of missions, it makes up for in size and replayability. 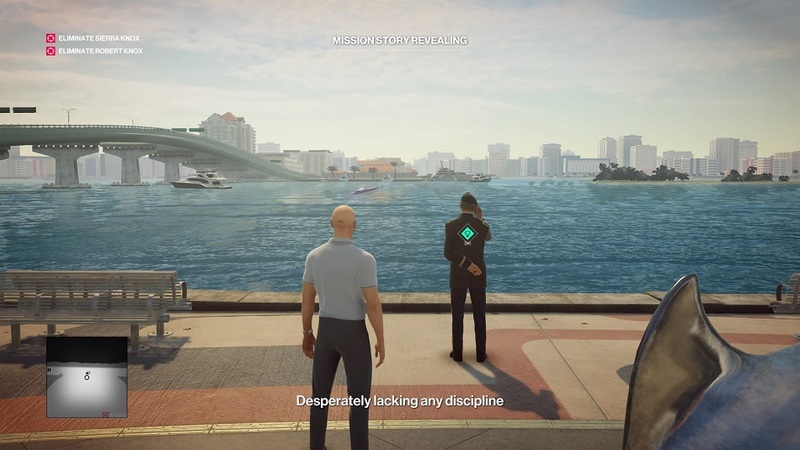 Reusing the previous Hitman’s mastery system, players have the option to complete each mission several times and accomplishing various developer-set challenges. Completing enough rewards players with new gadgets, weapons and new starting locations for each mission, complete with pre-equipped disguises. Speaking of gear, my biggest bone to pick comes from how it’s earned and the implementation of pre-existing gear from Hitman (2016) Legacy Pack missions. Although the Legacy Pack lets players import Hitman missions into Hitman 2, it doesn’t import any progress on those missions, nor the gear that was unlocked from them. They all must be played again several times in order to re-earn the same weapons and gadgets. That means the 40+ hours I spent mastering each stage to get lockpicks, bombs, pistols, sniper rifles and more are gone. Worse yet are the gear prizes in Hitman 2 that are direct copies of Hitman gear offered in a “Mk. II” version — these are literally the same rewards with a little red “2” on the side of them. Come on, IO. 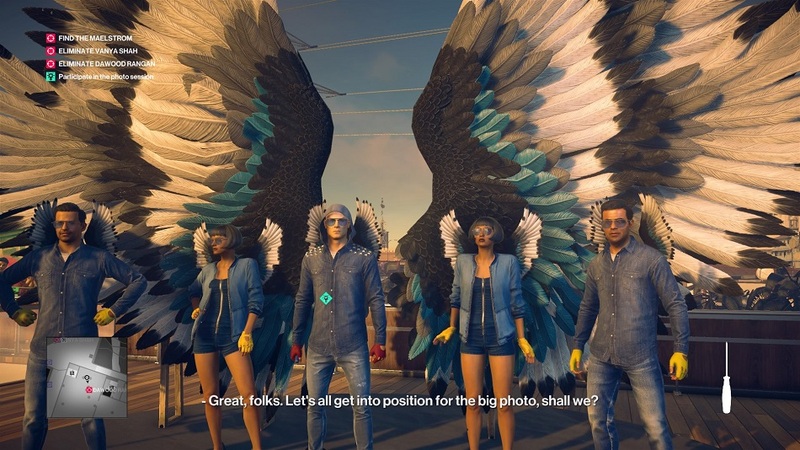 Don’t deny us the fruits of our labor when importing hours of progress from Hitman, and don’t even try to fool us with the same gear again in Hitman 2. Honestly, this aspect feels like an insult after all of the the time I spent loving your game two years ago. Furthermore, mastering missions several times over to unlock gear felt worthwhile and novel in the previous Hitman, but I’m already tired of it in Hitman 2. I miss the system from Blood Money that rewarded me with different cash payouts based on how flawlessly I completed a mission, and then let me spend it on what I wanted. It heightened my agency and skill because I knew a less frantic completion led to more profits, and more profits meant more possibility to kit myself out exactly the way I wanted. Now I must play a mission repeatedly and complete various challenges to unlock gear that’s rewarded arbitrarily — a gun here, a bomb there, with little rhyme or reason to it. There’s little incentive to replay if the reward is something that doesn’t fit my playstyle that I’ll never use. Given that 2016’s Hitman missions were released monthly, this system felt more at home there. With Hitman 2 being released all at once, it doesn’t make as much sense and definitely doesn’t hold the same appeal. As for innovations, Hitman 2 is short on them, though what we did get was all welcome. For example, 47 can now crouch to remain concealed in waist-high vegetation, he automatically blends into crowds to lose suspicious guards, and his signature briefcase allows him to carry large gadgets (most notably, sniper rifles) around without alerting anyone. There’s also a picture-in-picture mode that shows players when something noteworthy is happening out of sight, but that’s about it. All great tweaks, but they’re just tweaks — nothing significantly new or changed here. Disclosures: This game is developed by IO Interactive and published by Warner Bros. Interactive Entertainment. It is currently available on Xbox One, Playstation 4 and PC. This copy of the game was obtained via publisher and reviewed on the PS4. Approximately 40 hours of play were devoted to the single-player mode, and the game was completed. Approximately 2 hours were spent with Hitman 2’s multiplayer mode — Ghost Mode. Parents: According to the ESRB, this game is rated Mature and contains Blood, Intense Violence, Strong Language, Use of Drugs and Alcohol. Although long stretches of the game can feature non-violent recon, ultimately this game is about killing people. Deaths are more cartoon-like and never ultra-violent or unnecessarily bloody, but shooting, stabbing and injuring/killing people in various ways still comes into play. I wouldn’t recommend this for young audiences. Deaf & Hard of Hearing Gamers: The subtitles are customizable in 5 different sizes. It’s worth noting that although subtitle size can be changed, everything else on the HUD (objectives, mini-map, alerts) do not change in size. All dialogue in the game is subtitled, but I often found subtitles reacting strangely. Sometimes if I were standing around multiple people, a conversation from farther away would show up in subtitles and not a more important conversation happening closer to me. Sometimes mission challenges engage upon overhearing conversations too, and I’d often see the challenge HUD marker pop up without ever hearing or seeing the subtitles for the conversation that triggered it on the screen. For combat and recon, the mini-map in the corner does a good job of displaying visual information for alerts. It’ll show “Trespassing”, “Searching” or other words to let players know various enemy alert stages. Also when enemies are alarmed or searching, question marks or exclamation marks will appear above their heads. Finally, Hitman 2 has a visual arrow the grows in size the more someone becomes aware of players if they’re suspicious. Despite these visual accommodations, I think Hitman 2 will still be slightly more difficult for hard-of-hearing players. The two screenshots below represent the smallest subtitle size and the largest. Remappable Controls: No, this game’s controls are not remappable. The Y and X axes can be inverted or standard, and control stick sensitivity can be adjusted on a scale.